I know its pathetic but one of my favorite things about summer is the back-to-school sales! There is something about buying a notebook for a dime that sends shivers up my spine. The back to school sales in my area usually don't start until the second week of July so its a bit early. It may be a bit early to get school supplies on super sale but look what I found just browsing through Target. 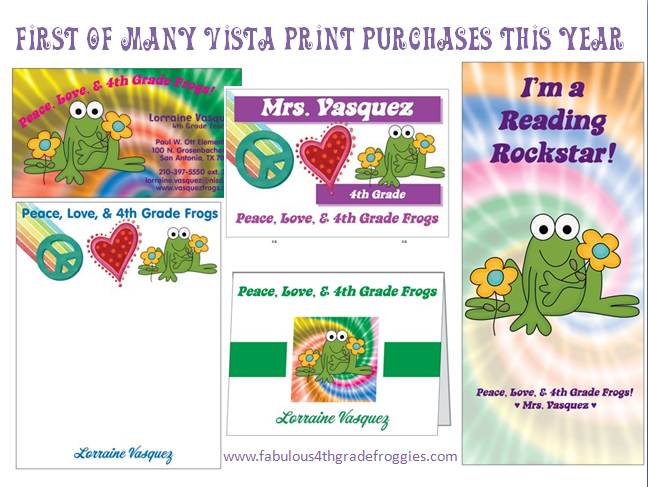 As you know, I am doing a Peace, Love, and 4th Grade theme for next year and the self adhesive mirrored peace signs (for only $6.48) will be great fun to decorate my room with. The the two Brain Twisters flash cards were found in the Dollar Spot...one of my favorite spots in Target. I also got 2 games on clearance for my class. 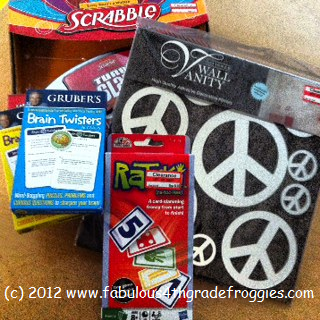 Scrabble Slam (half price for $7.44) and Ratuki ($4.88) will be a great addition to my recess games or even some "earned fun". I already showed these on another post but here are some items I also bought from Vista print. I had some credit on my account and I got good sales and paid barely anything for all these goodies and more that aren't included in the pic. In the picture you can see my business card, a sign, bookmarks, notecards and a notepad. This isn't much yet but summer just started! What bargains have you found for your classroom so far?Kristen from Ladybug's Teacher Files is having a Summer shopping Linky party. Go see what others are shopping for! I do Peace, Love, & 3rd Grade for my theme! I have peace theme curtains and the works!!! 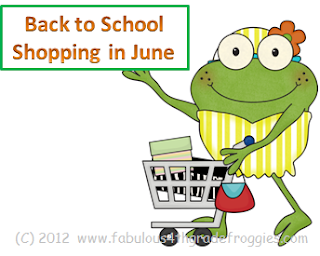 We are kindred spirits we both love frogs and back to school shopping! How funny is it that yesterday I was looking online at all of the weekly ads trying to see if any of the really great deals were available yet. Sadly, no. Although I did find at Office Depot Office Depot® Brand Medium Binder Clips 24-PK for only $1, they usually cost %5.79 so I was pretty impressed with that. I'm just not sure it's enough to have me go out in Tropical Storm Debby. Maybe the storm will pass before the sale ends, here's hoping! Lorraine- Thanks for dropping by my blog! Blogger is just so much more user friendly than Word Press was. I still have to use WP for my classroom blog since it is hosted on our School District server. Do you mind spreading the word about my blog? I am trying to attract new followers! Thanks. I just found your blog through a Linky Party! I am your newest follower! I too have a frog theme in my room! Hi! I love reading your blog and nominated you for the One Clever Education Blog Award. Go grab your award here! Guest Blog from Denise at Sunny Days! TX Blogger Fun, Giveaways, and my blog roll! 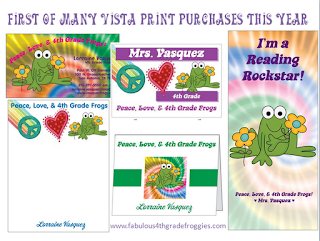 Frogs, Zebras, & more Clipart! Texas Blogger Meet-up for bloggers and followers! Happy Happy Happy Happy Happy!